The Shamrock expandable promises more than the luck of the Irish to anyone looking for fun on the road at an affordable price. 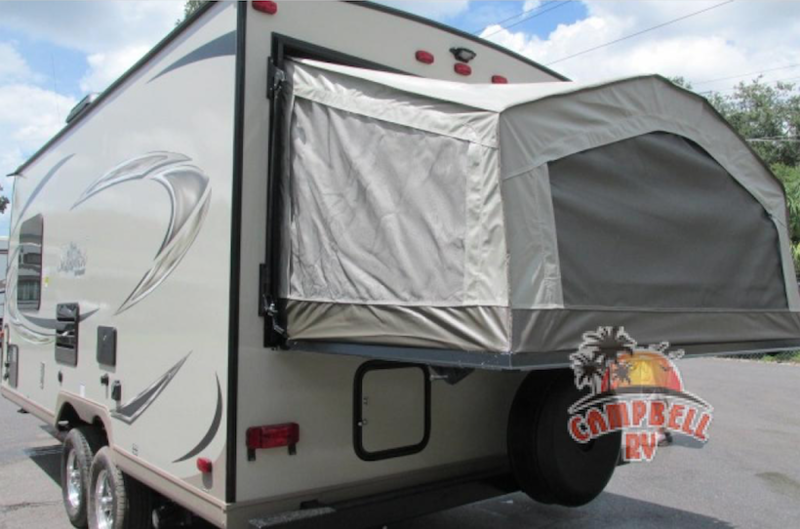 In our Forest River Shamrock expandable review you’ll see what makes this RV one that promises to keep you feeling right at home wherever you are and why we are proud to be your Shamrock RV dealer. 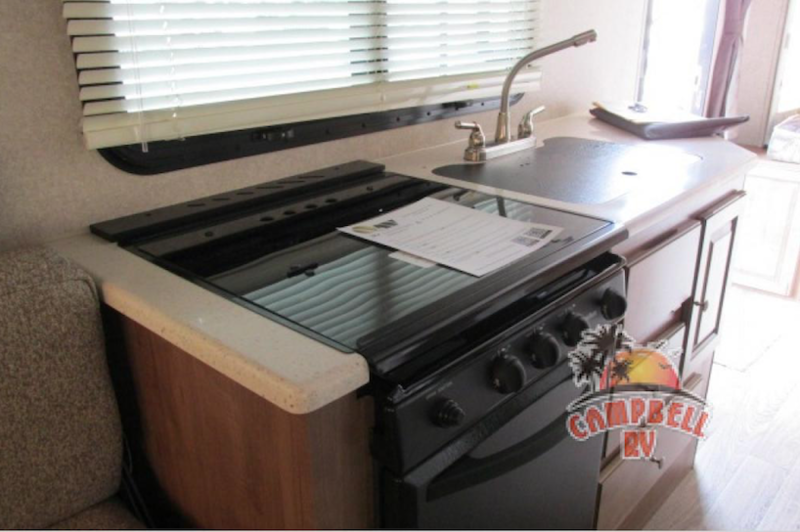 You might expect a more compact RV to offer less storage space than others, but one look at the kitchen and you’ll see there is plenty of storage. There are dedicated storage places for your pots and pans, spices, and more. You’ll also notice that creative storage can be found near the dinette and in many other spots. Your RV is only as good as the space available to sleep in. 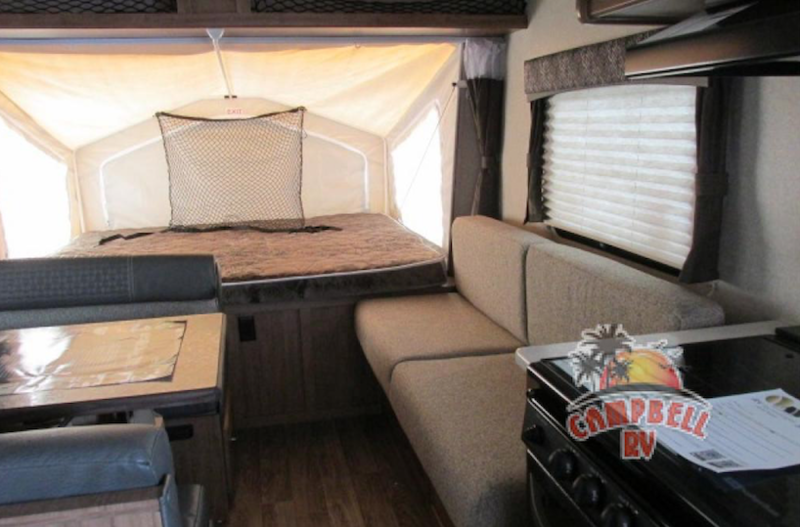 One of the best things about the Shamrock 19 floorplan is that it features queen sized beds on either side of the RV. You’ll also appreciate these features. Additional sleeping space in the booth dinette and sofa. The Shamrock can sleep up to 6 people. 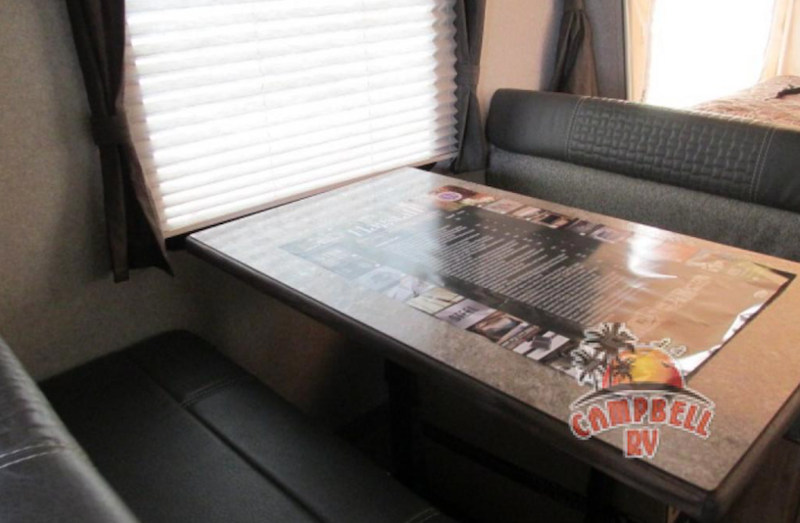 And one of the best things about this RV is that the booth dinette is dual purpose. It offers space to sleep in the evening, but during the day it is also a delightful place to relax and enjoy a meal with the family. You can take the time to enjoy cooking a meal with your family and then sit down and enjoy eating as a family. If you enjoy eating outside you can cook a delicious meal, then sit outside underneath your 15′ awning. You’ll get the protections for the elements that you want, but still enjoy the beauty of the great outdoors. If you’re interested in learning more about our selection of Shamrock RVs for sale, contact us. We can help you find the best RV for your needs and answer any questions you have.